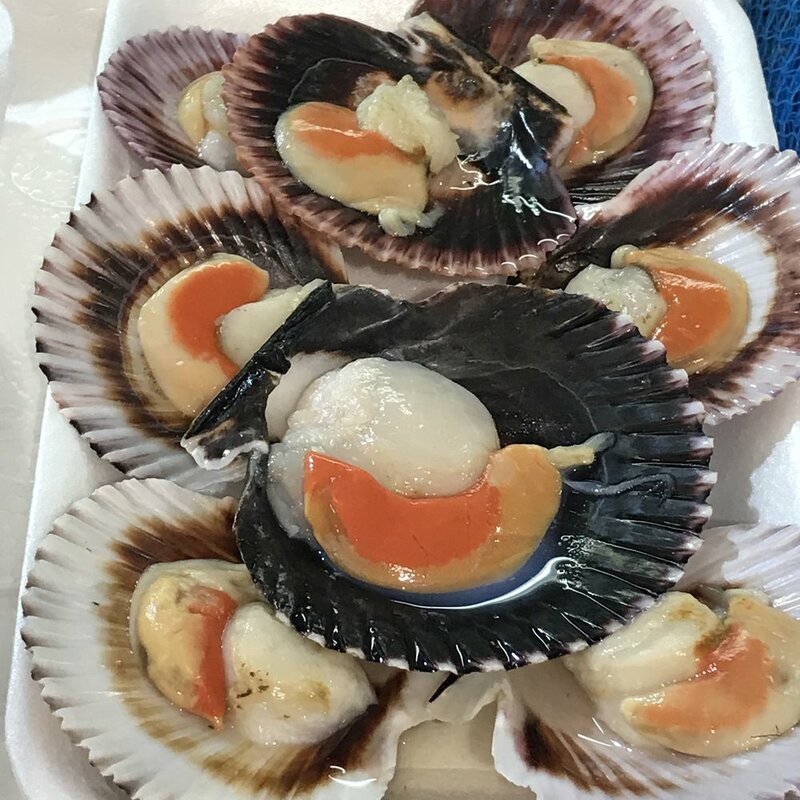 The market is managed by a cooperative of 70 vendors who sell freshly caught fish and mariscos (shellfish), crunchy Galician bread, all types of meats, fruits and vegetables, empanada gallegas (Galician savory pies), artisan cheeses like tetilla, flowers, etc. In addition to the permanent vendors, around the periphery of the halls, one can find the paisanas, women from the nearby countryside that come mainly on Thursdays and Saturdays (the most popular market days) to sell products from their own orchards. In the summer, you will even find scores of pementeiras de Padrón which come bearing large weaved baskets filled to the brim with their beautiful and popular namesake green peppers. Even if you don’t have access to a kitchen during your stay in Santiago, you still can partake in the best the market has to offer. 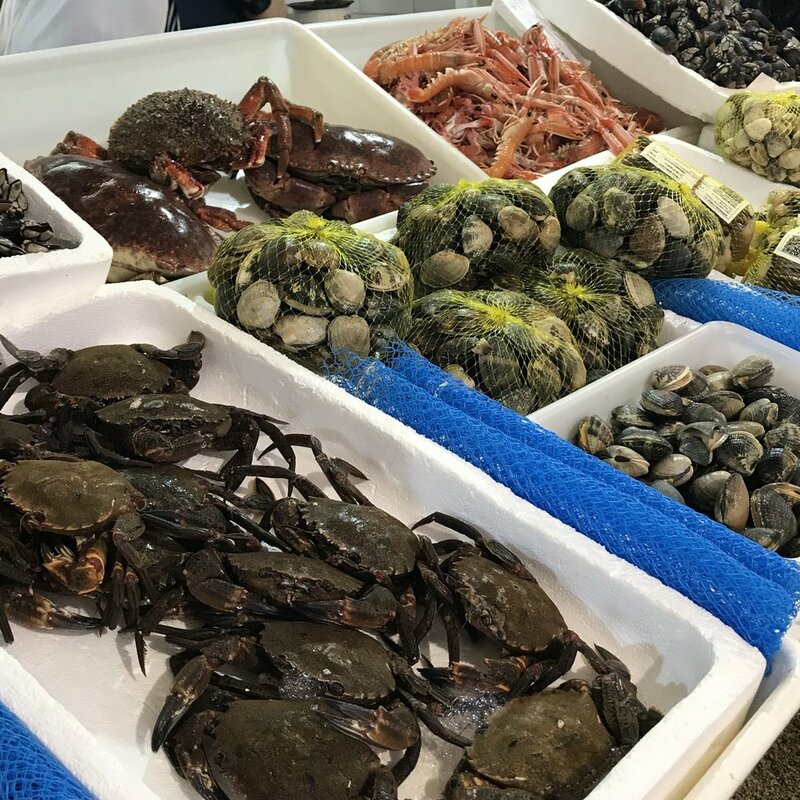 You see… there are few establishments onsite or just outside the market where you can take the seafood and/or meat you just purchased and for a small flat fee (or a percentage of the cost of the ingredient), they will prepare it according to your preference for you to enjoy right there and then! For instance, MariscoMania and A Sucursal both charge a mere 5 euros per person! In addition, there is another establishment called Abastos 2.0 which is “fridge-less” and famous for its daily menu of miniature dishes. 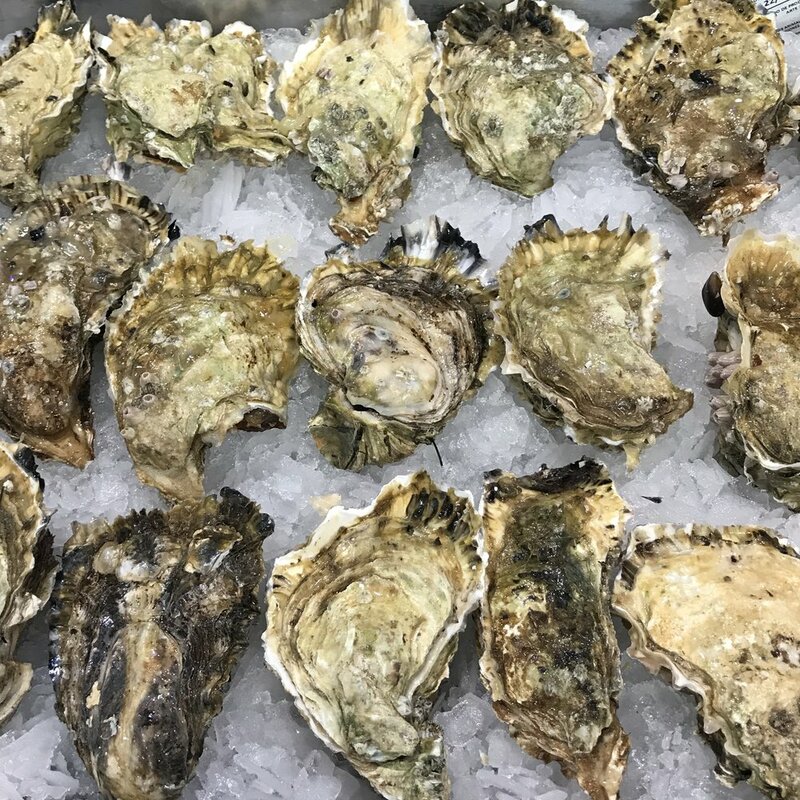 Given that there is no refrigeration, the menu varies each day according to what is available in the market and ALL the ingredients are shopped for on a daily basis, guaranteeing top freshness and quality! Finally, any vendors will also vacuum pack goods for you should you be fortunate enough to be able to take vacuumed-sealed food back home. 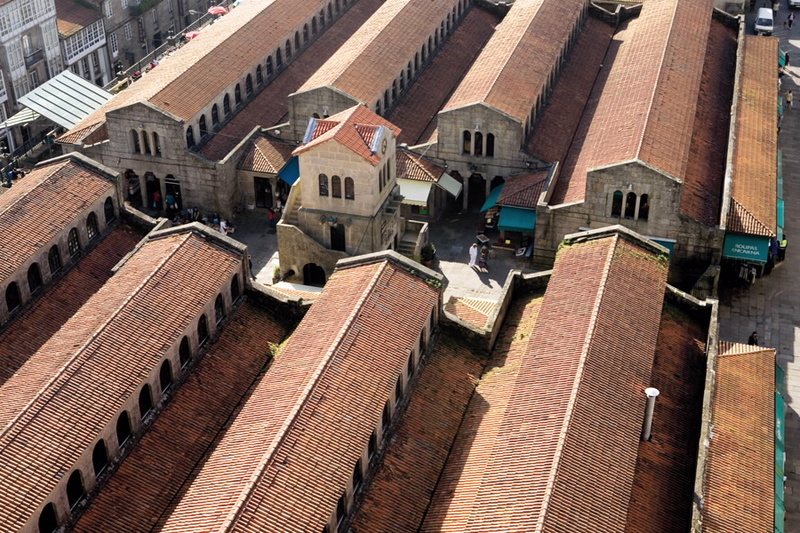 The Mercado de Abastos, with over 5600 m2 (over 60,000 SF) in area, is simply the ultimate place to really experience the gastronomical culture of Galicia. On any given Saturday, you can expect upwards of 4,000 visitors. Throughout the day, you are bound to rub elbows with local chefs looking for the day’s best picks to showcase in their restaurants and moms and grandmothers desiring the freshest and best quality ingredients in season for their families as well as pilgrims and tourists looking to learn more about this gastronomical region and all its bounty. Hours: Monday through Saturday, 7 am to 3 pm. Closed on Sundays and holidays. For more information, visit www.mercadodeabastosdesantiago.com.